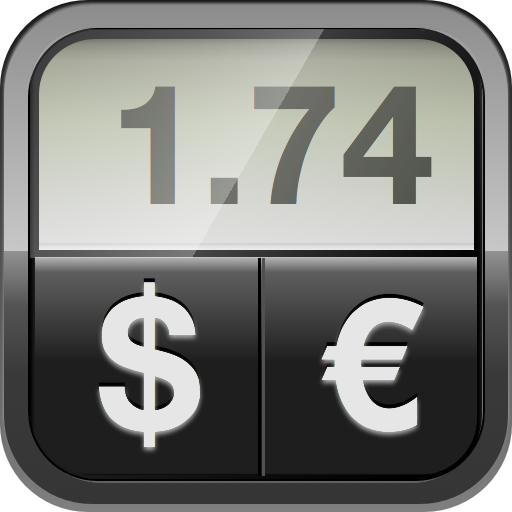 Coming soon from Lifelife Apps, Inc. is Currency©, a new utility app that looks simply dazzling on the iPhone’s Retina display. 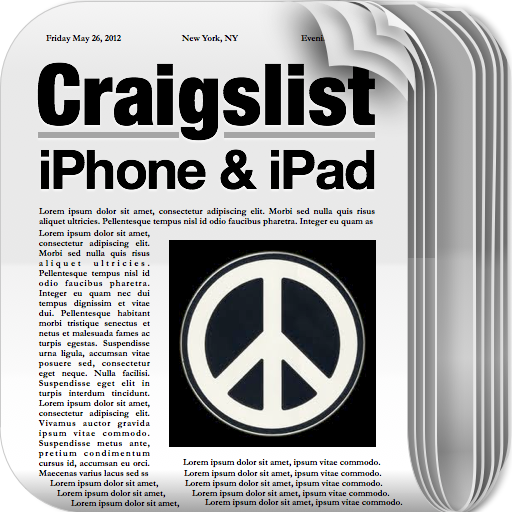 Perfect for business and recreational travelers alike, Currency© includes three views: calculator, chart and list view. 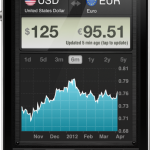 Best of all, the app includes real-time currency conversion with up-to-the-minute exchange rates. In total, Currency© includes information for 150 worldwide currencies. An offline mode helps the user save rates, which is especially useful when roaming abroad. 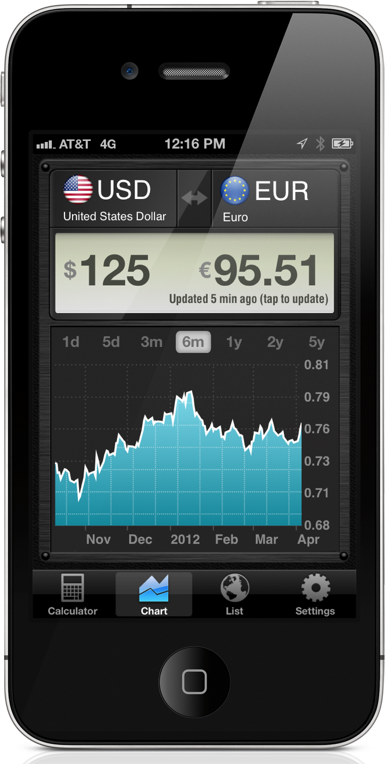 Most remarkably, Currency© looks like an app Apple should have created, but did not. Still, it fits right in with Lifelike App’s collection of apps that look, well, lifelike. When released later this month, Currency© will be available in two versions: paid and free. 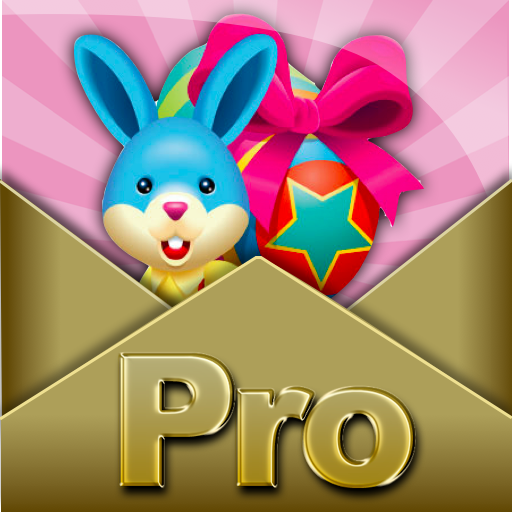 The $0.99 paid app will include the up-to-the-minute rates, charts, and no ads. Easy to use and beautiful, Currency© arrives later this month in the App Store. 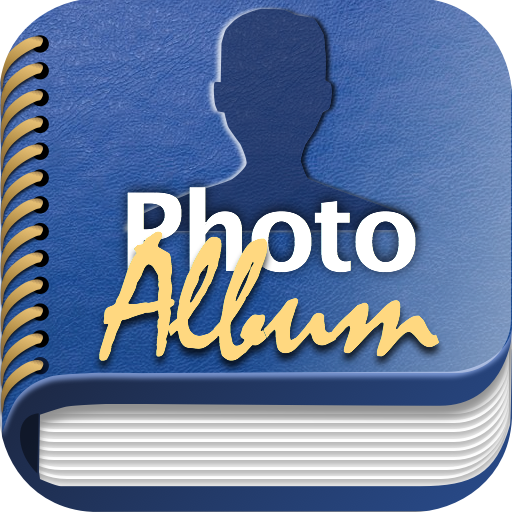 Other Lifelike titles include: Craigslist,, Cards and Photo Album for Facebook, among others.